14 years later, I finally received surgical intervention, and can feel my hands again-- and as a writer, that has been a miraculous gift. After all I just wanted a diversion. I recently learned that for the last 14 years, my parents used my social security number and that I was claimed as dependent on a NY State tax return. To complicate matters, I sit with the reality that I was screwed for life at the tender age of 22 and must somehow balance that knowledge with the ignorance and incompetence that surrounds me in my daily life. I live with the effects due to federal law (1) As a covered beneficiary under an ERISA plan, I will never be able to access; (2) being claimed as a dependent on my mother's NY State tax return for so many years it is near impossible impossible to go back and set the record straight. This little factoid made it legally impossible to file taxes, obtain insurance, disability benefits, or student financial aid, and neither parent is willing to compromise. For historical purposes, let take a trip back to 1995 where I spent most of my time in a state of confusion and completely in the dark about the damage I was to do as an unwilling participant of fraud and abuse in the health care industry... CONTENT WARNING read only if you are prepared to deal with the facts... I invite you to share this truth with whomever you like. I have no where to run to, no where to hide. But I will move forward for the sake of my sanity... I know things too... but it is not how well you know the law, iit how well you know the Judge. 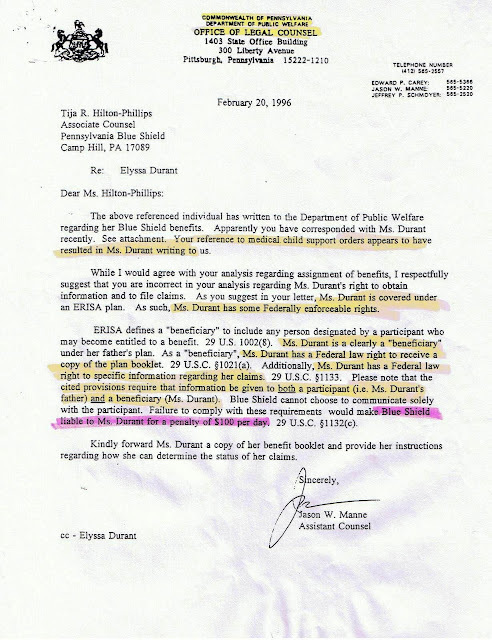 1995: I filed a complaint with the Pennsylvania Insurance Department in 1995, and received response six months after the policy had expired. Despite the considerable evidence I provided to the Insurance Dept. 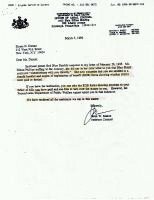 and Pennsylvania Blue Shield, I was told that despite the overwhelming evidence that I provided, the Insurance Dept. Did not have the authority to override the terms of the contract. 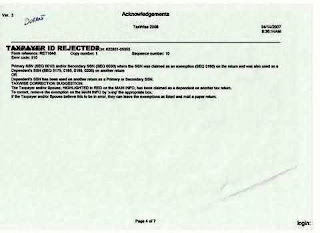 Since ERISA mandates that all beneficiaries (including insured dependents) be given a copy of the policy (among other forms of insurance identification, e.g., EOBs, Insurance Identification Card; a hard copy of the policy) all requests for ERISA mandated materials were repeatedly denied until the Jason Manne from the Dept. of Public Welfare sent a letter to my insurance carrier to inform them that they in accordance with federal law, they must honor my request for a copy of the insurance policy. The insurance Department came to the same conclusion: that my rights under federal law had been violated, but because this situation was unprecedented in the state of Pennsylvania, it took approximately 9 months before BCBS decided to send me the necessary documentation. In addition, my plan had expired, and BCBS refused to honor my request for COBRA continuation (which would have been extended from 18 to 36 months since I was disabled at the time of the qualifying event plan supporting my initial request for federally mandated information in accordance with ERISA 4236. The Health Insurance Portability Act of 1996 was no help (NY State Public Law Enacted in 1996) and each policy passed me off to the next. Without EOBS or proof of comparable coverage, primary and secondary coverage could not be established and I began a 14 year journey into hell. Being forced to produce paperwork I could not obtain, my dissent into madness took hold of my life, each day a new request feeding my OCD with Ten Day letters, federal mandates and court ordered repetition. Each company trieds to subrogate the next, and I watched my life: my dreams, my aspirations, my goals get sucked into the vortex of chaos and hell. I will never be free from the madness. The memories are burned into my memory like and I eat, sleep, dream, and search for solutions that never seem to arrive. Washington requests in Washington in accordance with federal law. , e.g., self-insured, their assistance in obtaining accurate information through the FOIA and the Pennsylvania Right To Know Act. Furthermore, the Dept. of Labor requesting this information were never answered. I never found out the name of the plan administrator or the fiduciary, and was never offered COBRA continuation, and then BCBS refused to let me continue under COBRA, claiming they were not obligated to offer it to... so who is ultimately held accountable in these situations. 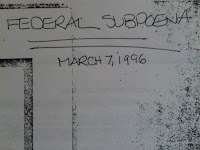 Although I was only 22 at the time, I spent my days and nights reading up on insurance, labor and employment law, and subsequently came to believe that aside from violating my natural rights, I had been denied due process protections and requested legal assistance from advocacy organizations in New York, Pennsylvania and Tennessee. I was unable to find anyone who would take my claims seriously, and could not find anyone to take my case pro-bono or on contingency. Eventually, I moved to Nashville, TN and tried to recover from the physical injuries and the new emotional scars that left me cynical and bitter about a judicial system that consistently fails to enforce natural and human rights. Although I may be biased, I believe this case has substantial social merit and long standing implications for children in the state of Pennsylvania. I am a reputable witness, and have 5 years of doctoral studies under my belt in the field of social policy. If she has an interest in looking bold into the face of police corruption, I would like to share my story (and the documents) to be sure no other child in the Commonwealth of Pennsylvania falls victim to such heinous crimes due to legal technicalities from an outdated piece of legislation. It has been 14 years since my case was “abandoned” by the state judicial system in the Philadelphia Court of Common Pleas. It is time to have these loop holes closed for good and ensure equal protection under the law for all children—not just those who are lucky enough to have a fair hearing or be heard before they reach the age of majority. With the support and inspiration, I received from some very kind and brilliant professors in sociology and social policy, plan to submit a book proposal to document the sequence of events that still astound me and curious onlookers who take a quick peek as they casually pass in and out of my life. You see, it is much like a traffic accident-- people like to take comfort in seeing the tragedy of a broken man and his family demonstrating the social injustices and inequity resulting from a stratified society where only "violent" criminals or those who commit acts that violate or impede the natural rights of others are not taken seriously by the judicial system or the public at large. Unaware of the consequences that arise from dual standards in the worst of academic snobbery and intellectual elitism -- living a lifestyle they might otherwise envy. I would appreciate assistance in restoring my social security number and account so that I do not have live in constant fear. If that means either relocating to another country and/or having my name and social security number changed or restored, it is probably well worth the inconvenience if it means there is still hope for living a peaceful existence.